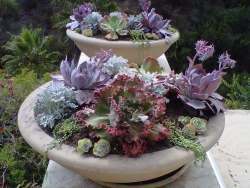 Over the years, I've built lots of funky planters to display succulents in. Some looked better than others, some look better now. Here are a few that have improved over the years - I rarely rebuild them, in fact they're lucky if they ever get any fertilizer. Water? Only if it rains. So the plants that survive are all the stronger for it. Now that the snow has finally gone (it is May, after all) this is what I find. Some have been dumped over, due to the sheer amount of snow that we got (four feet of the stuff!) and others that were on marble shelves got trampled by deer and the shelves broke, throwing the planters to the ground. 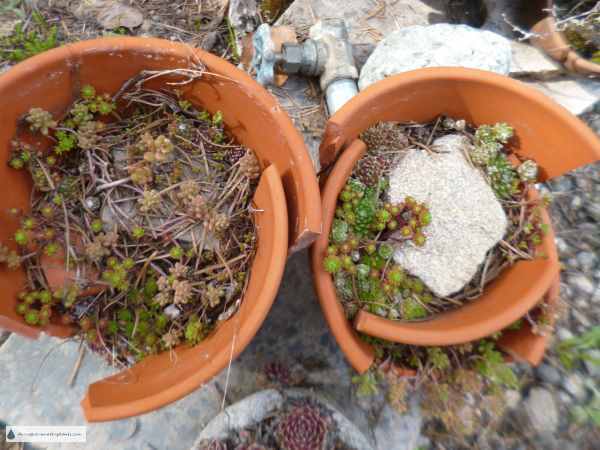 In some pots, there were deaths of plants, leaving a hole. There were some that had lots of flowering Sempervivum, which still have the stalks attached to dead rosettes. Needles and fir cone parts left by winter storms and foraging squirrels litter the plants. There are even some weed stalks in between some of the plants. Some of these were originally built several years ago - the fence post planter is from 2011, and I've had it on 'ignore' for all that time. 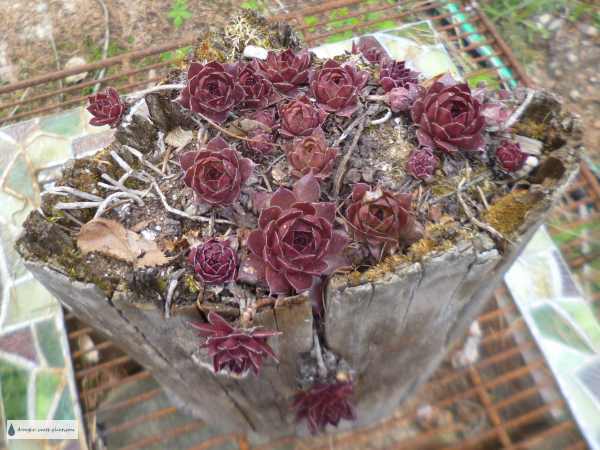 The toughest red Sempervivum survived - they peek out from between the crevices in the wood. Hypertufa troughs just continue to get better and better in some cases. The most successful ones are those with a large rock in the middle - this protects the roots of the plants and prevents the 'freeze/thaw' cycle from heaving the plants out of the soil and killing them. 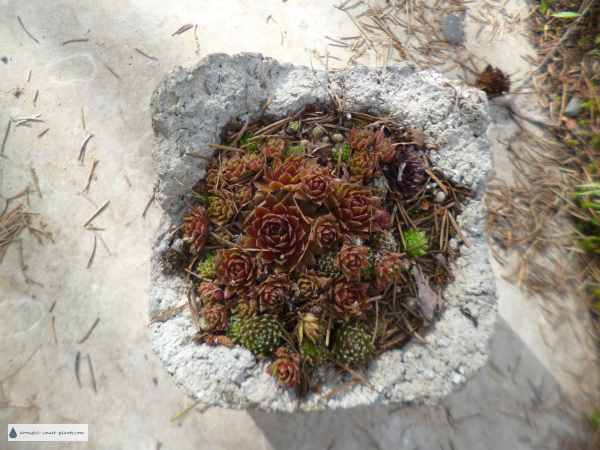 Other hypertufa pots that do well are the square ones made in molds of recycled ice cream containers. 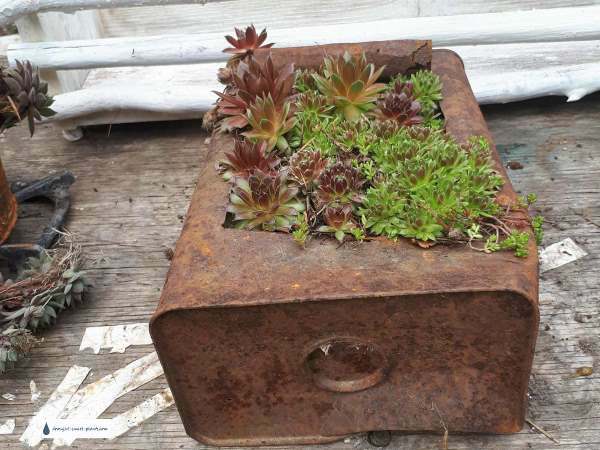 The best containers (the most successful, planting wise) are those that don't collect water in the slightest. The soil can be almost anything, as long as it dries out. 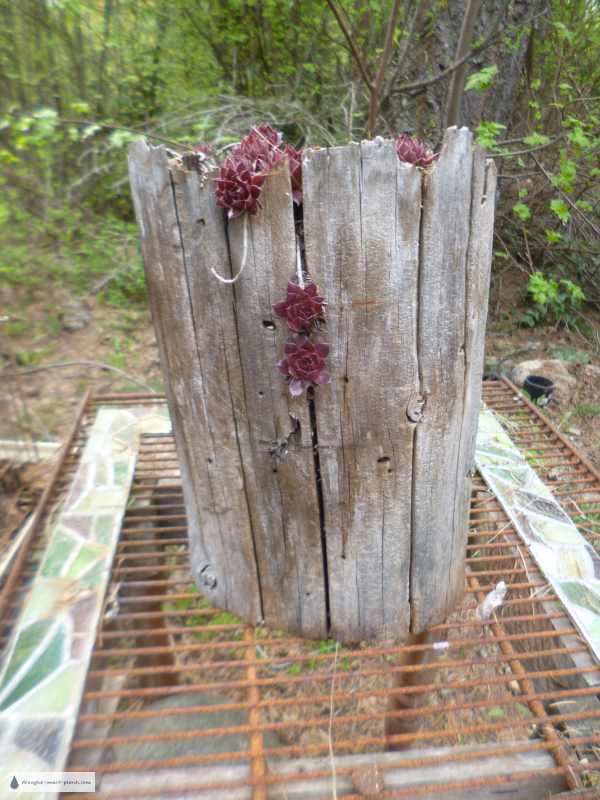 The oil can planter was something I built to put on my other site, Blue Fox Farm in a tutorial, and I never expected it to do so well. It was meant to be a short lived project, but it just won't quit. The little Sempervivum are spreading, along with the tiniest of tinies, Sedum 'Faro Form'. 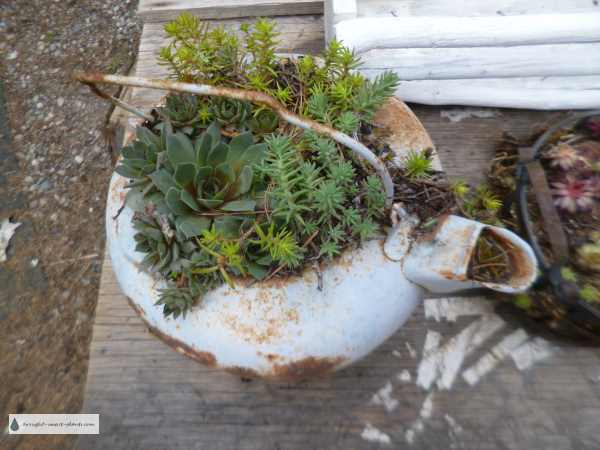 Clay pot fairy gardens are not going away. People are fascinated with them, and no wonder! They have such charm and character - even more once they get established. 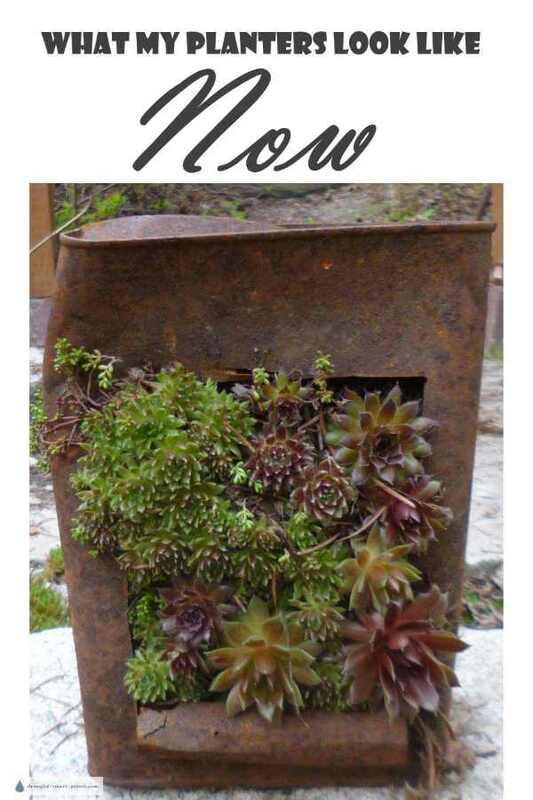 The perfect drainage in these makes it possible to keep those tiny succulents in great shape, even in terrible conditions. There's a quick look at some of the containers planted with hardy succulents in my garden. There are others doing well, and some that were failures in the longevity department.